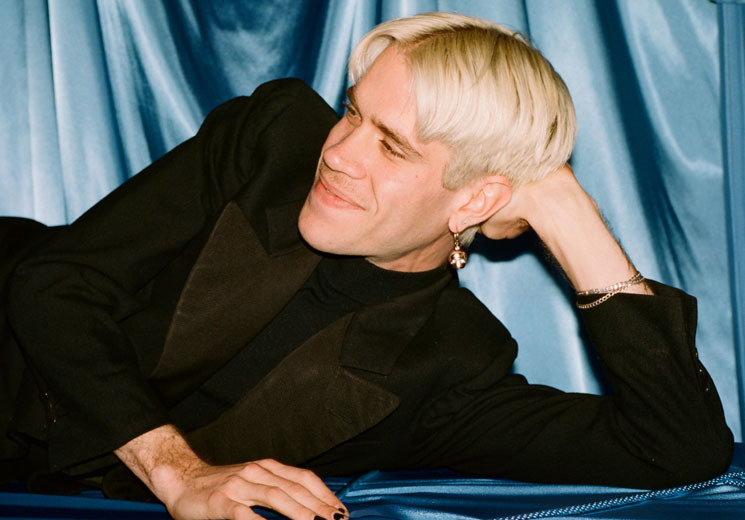 Since the release of Porches' breakthrough album, Pool, in 2016, Aaron Maine has been using his time and newly acquired label support very wisely by constantly writing new music to document the changes in his life. "I was hellbent to not take it for granted," Maine tells Exclaim! "Everything has changed. Everything is constantly changing." Maine is releasing The House, his third record as Porches, one he describes as, "Sort of the last chapter of this relationship that I was in for a while, and the ending of that and the ending of writing and finishing [The House] coincided in quite a fittingly dramatic way." The House represents some of Porches' most candid and introspective material to date, set to a backdrop of danceable metallic beats and exposed keyboards and synths. Songs like "Find Me" and "Anymore" are about Maine's experiences coping with life's changes, and slowing it down for deep-rooted self-examination. His separation from former partner Greta Kline, of Frankie Cosmos, who was often a part of Porches, isn't explicitly addressed on the album, but Maine instead pinpoints ubiquitous emotions and identifies strands of resolution during the process of creation. "I think why I'm so drawn to making music is because it's my space and where I feel clear and time seems to stop," Maine explains. "It just feels good to be able to escape into a song and capture an experience and feel like you can be fine with it in a way you couldn't, really, if you just continued on. There's something comforting by having it down on a recording." During the writing process for The House, Maine invited several of the people who are closest to him to collaborate and be a part of the album. "I write about my personal experiences. It would only make sense, naturally, to involve the people that I encounter on a day-ish-to-day basis," he points out. For example, Maine's dad wrote and provided a vocal track which was reworked into the interlude track "Understanding," while Alex Giannascoli (aka (Sandy) Alex G) sings on album opener "Leave The House" and Dev Hynes of Blood Orange provides vocals on the meditative "Country." One of Maine's favourite tracks on the new album, though, features a recital of one of Maine's poems that Kaya Wilkins (from Okay Kaya) translated and performed in Norwegian. The piece, entitled "Åkeren," is "about Ricky and Julie, who are two characters on the album." Maine, who is no stranger to inventing alter-egos such as Ronald Paris and Ronnie Mystery, created Ricky and Julie to be a part of the overall narrative and underlying message of The House. "They represent this perhaps unattainable platonic relationship where they've devised a way to fulfill each other's romantic fantasies without actually being romantic with each other, therefore, not having to experience the complicated dynamic of a romantic relationship." For Maine, whether it's with fictional characters or experimenting with new sounds, continually coming up with ideas to express his feelings and changing experiences is essential for his artistry. "I've gotta keep it fresh. It would be terribly boring if I didn't — for me and for whoever is listening." The House is out now on Domino. Porches play Montreal on February 18 and Toronto on February 19.